Published on 30. Juni 2018 17. April 2019 by FG ArtTavelint. 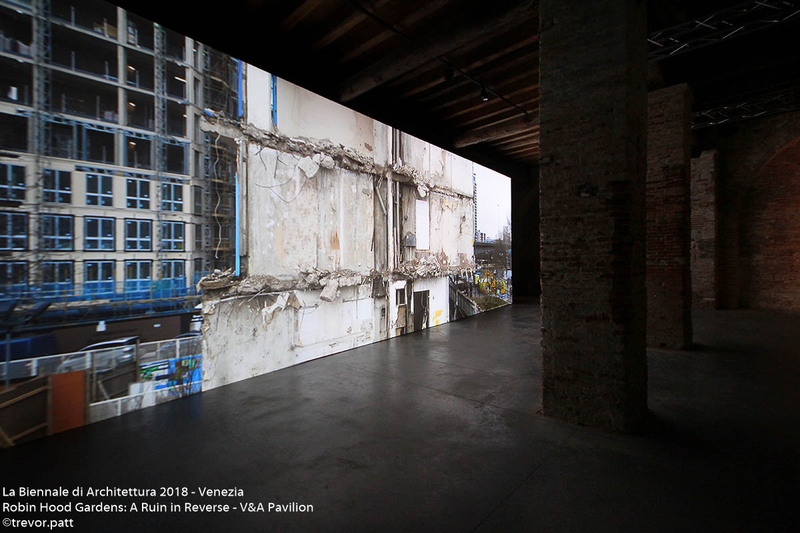 Venice, May 24th, 2018 – The 16th International Architecture Exhibition, titled FREESPACE, curated by Yvonne Farrell and Shelley McNamara and organised by La Biennale di Venezia chaired by Paolo Baratta, will open to the public from Saturday May 26th to Sunday November 25th 2018, at the Giardini and the Arsenale in Venice, Italy. «With the aim of promoting the ‘desire’ of architecture», President Baratta explained that this edition curated by Yvonne Farrell and Shelley McNamara focuses on «the question of free space, the free space that can be generated when a project is inspired by generosity. Our desire to create freespace can be, specifically, a characteristic of individual projects. But free space also becomes a paradigm, in that it reveals the presence or absence in general of architecture, if we mean by architecture thinking applied to the space in which we live and reside. Free space is a sign of a higher civilisation of living, an expression of the will to welcome. Of course, generosity cannot only be hoped for: the cultural and institutional framework of a community must know how to recognise it and must want to stimulate and promote it. The Exhibition will give us examples, and motive for discussion. The Exhibition FREESPACE develops from the Central Pavilion (Giardini) to the Arsenale, and includes 71 participants. The 71 participants are joined by others gathered in two Special Sections: the first, numbering 16 participants, is titled Close Encounter, meetings with remarkable projects and presents works that originate in a reflection on well-known buildings of the past; the second, which counts 12 participants and is titled The Practice of Teaching, collects projects developed as part of teaching experiences. «We are hugely appreciative of the enormous dedication and passion invested by participants. It has been a revelation to witness the variety of architectural responses to the vast differences in culture, climatic conditions, economies, and construction techniques, received from architects throughout the world. At the same time, it is important to note that at the core of the variety of individual architects’ work is the shared respect for the “Earth as Client”, a key component of our FREESPACE Manifesto». 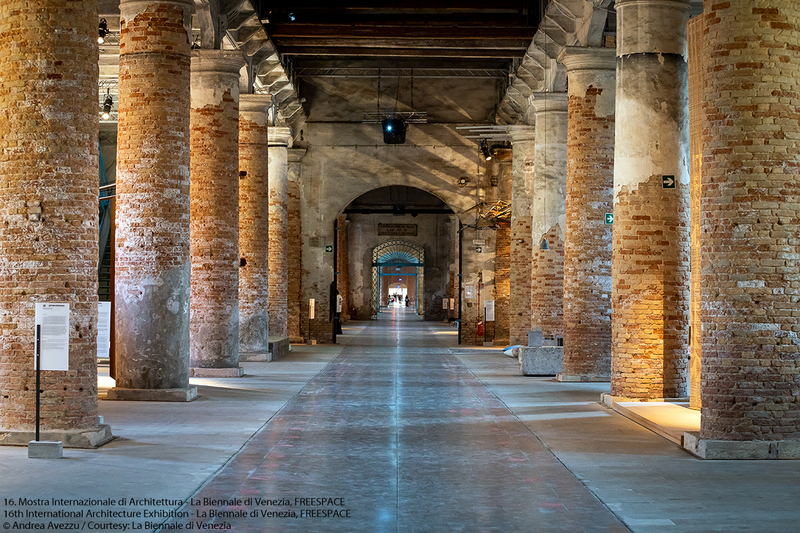 The Exhibition also includes 63 National Participations in the historic Pavilions at the Giardini, in the Arsenale and in the historic city centre of Venice. 6 countries participate in the Biennale Architettura for the first time: Antigua & Barbuda, Saudi Arabia, Guatemala, Lebanon, Pakistan and the Holy See (with its own pavilion located on the island of San Giorgio Maggiore). The Italian Pavilion at the Tese delle Vergini in the Arsenale, sponsored and promoted by Italy’ Ministry of Cultural Heritage and Activities and Tourism, Directorate-General for Contemporary Art and Architecture and Urban Peripheries, is curated by Mario Cucinella and titled Arcipelago Italia. 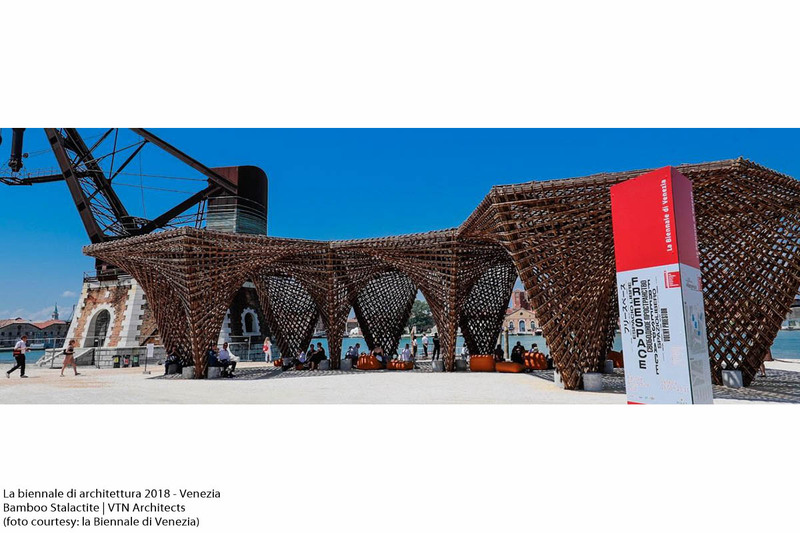 This edition features 12 Collateral Events promoted by non-profit national and international institutions, which present their exhibitions and initiatives in Venice during the 16th International Architecture Exhibition. There are two Special Projects at this year’s Biennale Architettura: – the Forte Marghera Special Project in Mestre, curated by Yvonne Farrell and Shelley McNamara, consists of an installation by architects Sami Rintala and Dagur Eggertsson. 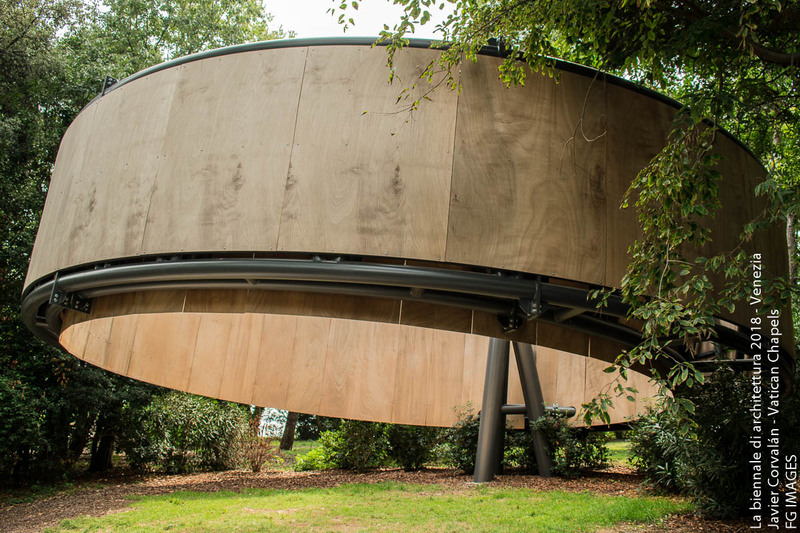 The wooden structure is located on the shore of a water basin and will host events planned in Forte Marghera. 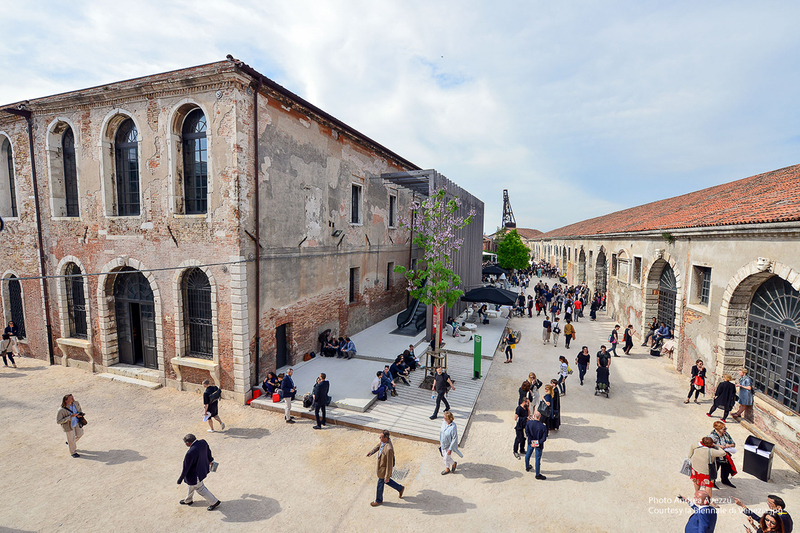 – the Applied Arts Pavilion Special Project, curated by Christopher Turner and Olivia Horsfall Turner at the Sale d’Armi in the Arsenale, has been made possible thanks to the collaboration between La Biennale di Venezia and the Victoria and Albert Museum, London, which was renewed for the third consecutive year. The exhibition reflects upon the future of social housing by presenting a fragment of the social housing estate Robin Hood Gardens, which was designed by Alison and Peter Smithson in East London and completed in 1972. 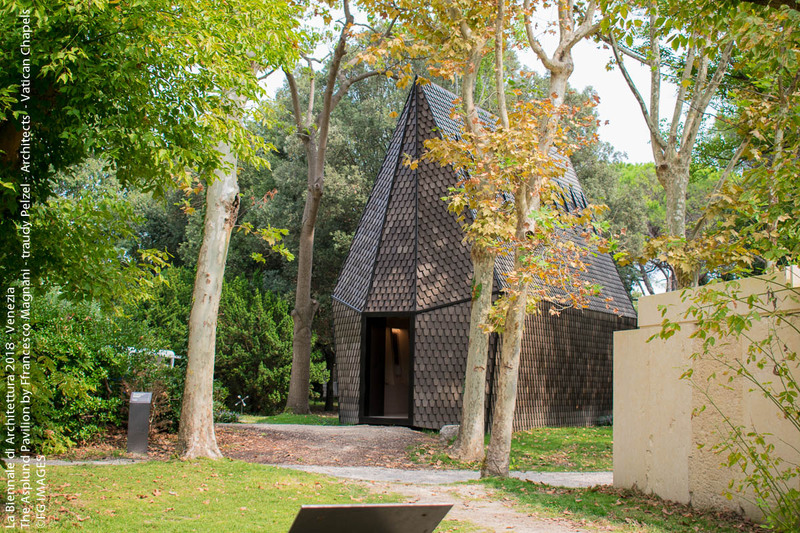 The Biennale Architettura 2018 is accompanied throughout its duration by a programme of conversations: the Meetings on Architecture, curated by Farrell and McNamara, are an opportunity to discuss the different interpretations of the FREESPACE Manifesto and listen to the voices of the protagonists of the Exhibition. The programme of Meetings is complemented by contributions from the Participating Countries and a calendar of conferences organised in collaboration with international institutions such as the London School of Economics/Cities and Alfred Herrhaussen Gesselschaft, and with the Victoria and Albert Museum, London. Finally, the Historical Archives of La Biennale di Venezia will present a meeting focused on the architecture of archives. 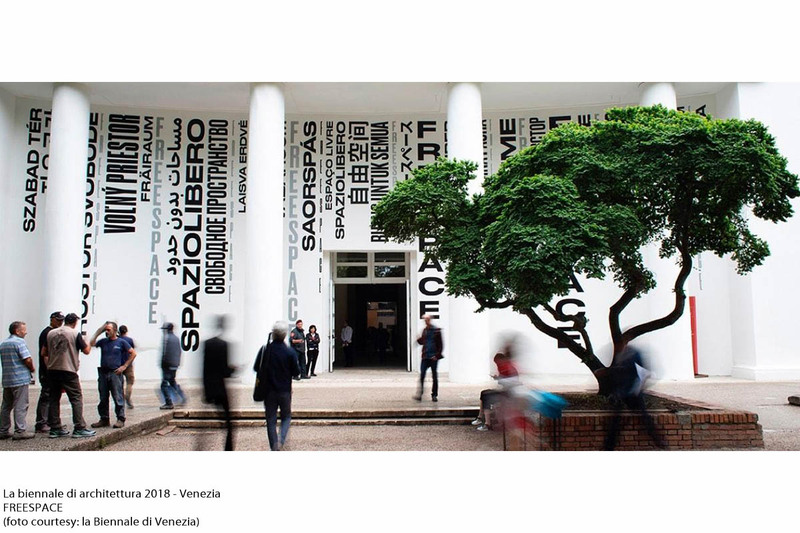 For the past decade, La Biennale di Venezia has been devoting increased attention to learning activities, and has developed a growing commitment to so-called “Educational” initiatives addressed to the audience of its Exhibitions, to universities, young people, and children from schools at all levels. 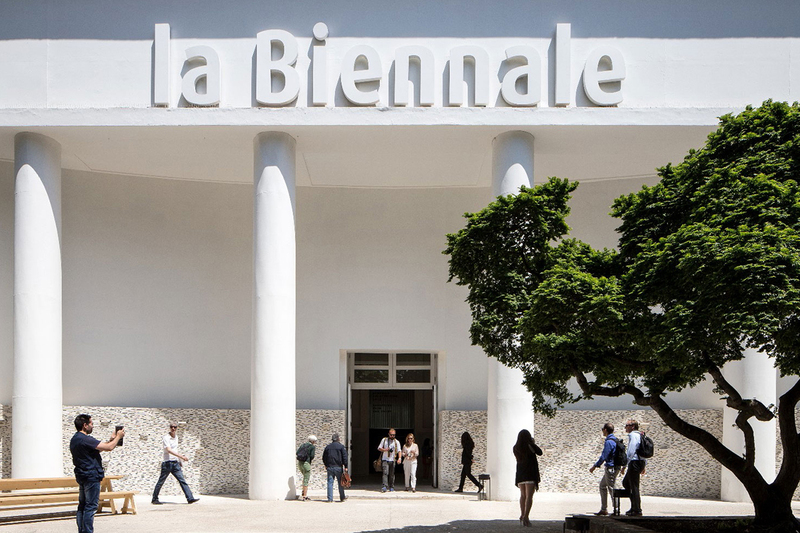 In the past two years, La Biennale’s two major exhibitions, the 15th International Architecture Exhibition and the 57th International Art Exhibition, counted a total of 108,297 participants in the Educational activities, of which 65,823 were young people. A broad Educational programme has been scheduled for 2018 as well, addressed to individuals and groups of students, children, adults, families, professionals, companies, and universities. All the initiatives aim at actively involving the participants, and are led by professional operators, carefully trained by La Biennale di Venezia. 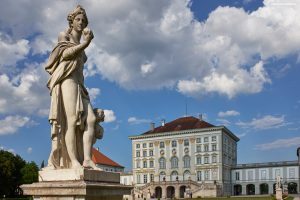 They are divided into two categories: Guided Tours and Workshop Activities. The official catalogue, titled FREESPACE, consists of two volumes. Volume I, curated by Yvonne Farrell and Shelley McNamara, is dedicated to the International Exhibition. 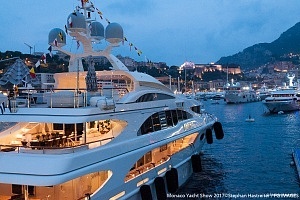 Volume II focuses on the National Participations, the Special Projects and the Collateral Events. The Exhibition Guide is conceived to accompany the visitor through the Exhibition. The graphic design of Biennale Architettura 2018 and the layout of the books are by Atelier David Smith, Dublin. David Smith and Oran Day. Giardini and the Arsenale in Venice, Italy.